[Kdrama] Baker King, Kim Tak Gu Special Subbed! – I found it! Was browsing through youtube and landed on this precious channel! Don’t mind the name but a channel which goes by the name fuckyeahyoonshiyoon has subbed 4 parts of Baker‘s special already! It’s hilarious and I’m totally on Manager Han’s side now…I meant the actor. The man got humor! 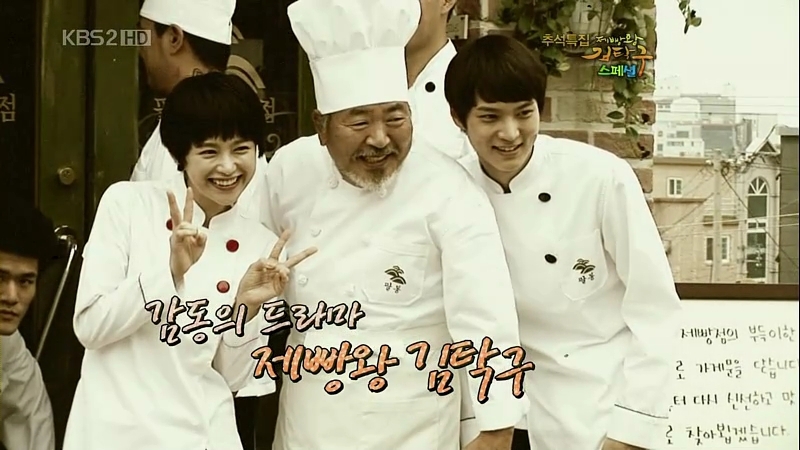 Part 1: Joo Won: “I’m more innocent?” hahaha! Part 2: I love everyone’s reaction to the scenes in the drama! Joo Won in the small box mimicking his young counterpart and calling Tak Gu a beggar is adorable. Joo Won: “You, be my woman!” *melts* Eeeekk And then we have Seo In Sook’s outburst, “Ma Joon, YOU!” and Mi Sun’s “Tak Gu-ah!” Aww! Last but not least Yoon Shi Yoon thanks “Giving hope from the bottom…” I die! 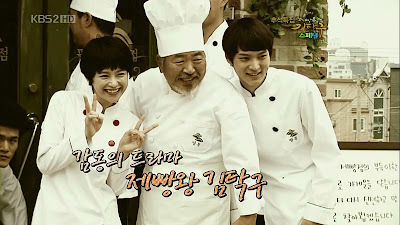 Part 3: Poor little Tagku, it’s his debut role, and without prior experience, he was slapped for real by Seo In Sook. But I loved that scene. Very well-executed. Lee Young Ah picked Joo Won as the mood-maker…hehe remember Ma Jun’s cute flirting? Part 4: Well, I don’t know about ‘chu’ guys but Joo Won can sing me to sleep every night. Heck! Alice: Part 5 is still in the midst of subbing but do drop by the person’s channel to thank her! And please do not rush the subber, she’s doing all this by herself. This entry was posted in Drama Episodes and tagged Eugene, Joo Won, Lee Young Ah, Yoon Shi Yoon by Kappy. Bookmark the permalink.